Stop off for quality drinks, conversation and a sweet view at Captain Foxheart’s Bad News Bar, tucked away atop of the re-energized 300 block of Main Street in the Historic Downtown District. 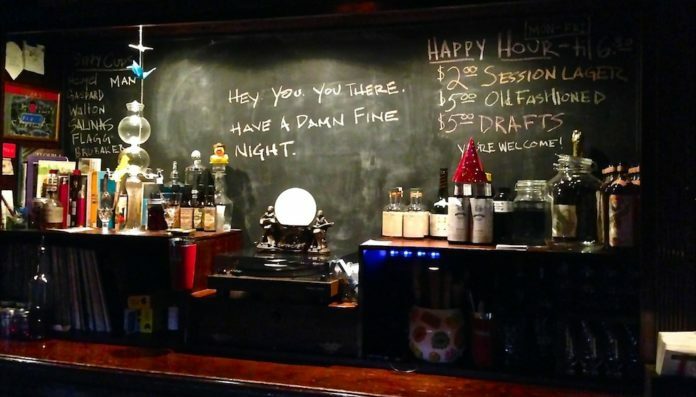 Since its April 2013 opening, the bar with the full, formal and tongue-in-cheek name of Captain Foxheart’s Bad News Bar and Spirit Lodge has won the hearts of in-the-know Houstonians, become an oft-cited “My Top 5” favorite and consistently earned nods of praise and approval from local and national media outlets. Although some refer to it as Captain Foxheart’s, it’s most commonly known simply as Bad News Bar. This is likely due in part to its @BadNewsBar Twitter handle – its only official online presence and the only place the establishment has officially hung out a sign. 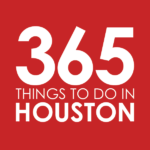 The bar was created by popular Houston bartender and co-owner Justin Burrow, along with his partners Brad Moore and Ryan Rouse, and reflects his dedication to good drinks in a good space with good people. The bar is exactly where the address says… but compared to its neighbors, Bad News Bar is much more subtle about its presence. You’ll probably first notice it by the seemingly private balcony jutting out above the sidewalk in the middle on the 300 block of Main. You may assume it’s a private party. But it’s not, exactly. You just need to know how to get in. To get there, head to the door beneath it to the right, marked for an attorney’s office. The polite but unassuming guy standing next to it is the doorman/bouncer. Walk up to him, share your ID and you’ll be up the stairs to Captain Foxheart’s Bad News Bar. Once you’re at the top of the stairs you still won’t see a sign, just a small fox head coat hook mounted on the door on your right – a sly wink acknowledging that you’re in the right place. If you hadn’t guessed from the windows next to it, that’s your destination. Like many of Houston’s next generation cocktail bars, the bartenders at Captain Foxheart’s are quite good at engaging you directly and asking you what you’re in the mood for in a drink. They listen, give a quick nod and then whip something up that’s going to please your palate. If you experience a rare misfire, let them know. As long as you’re nice, they’ll sort you out. You can also opt to order your favorite standard cocktail or to choose one of their specialty drinks off menu. They’re happy to oblige with good beer and wine as well. One of Bad News Bars’ most popular features is its balcony, offering a view of the Downtown courthouse and up and down Main Street itself. Like the rest of the bar, it’s classic, simple and understated. While nice, this is not a swanky over-the-top rooftop lounge in Midtown. This is a classic, understated, peaceful and social spot to chat with your friends and your neighbors and soak in the character of a rapidly evolving Downtown Houston.